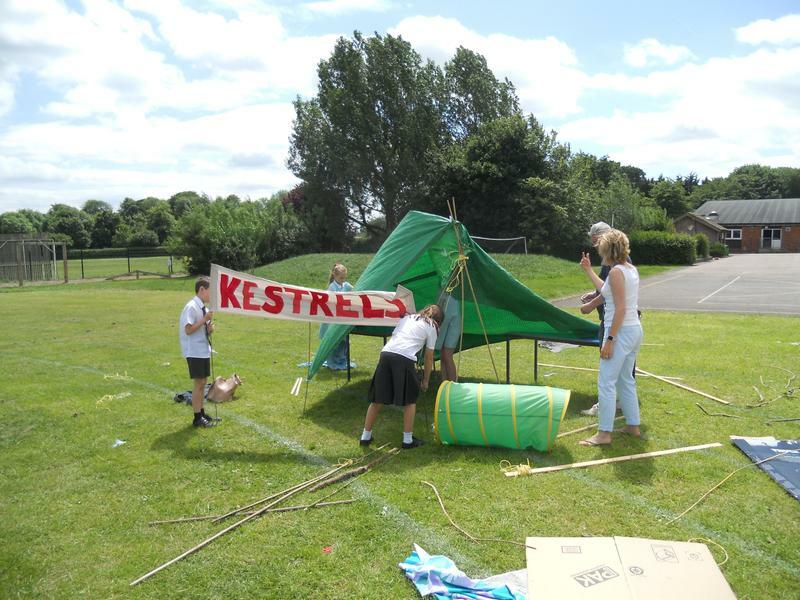 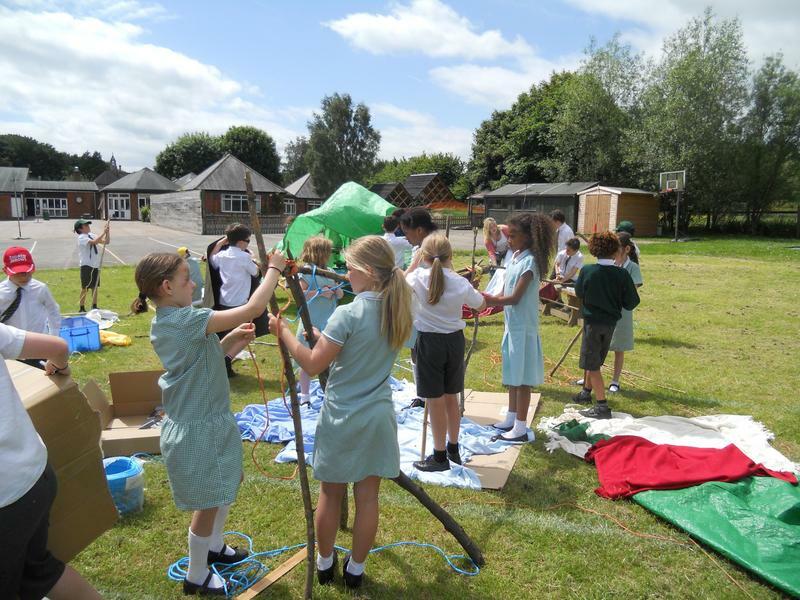 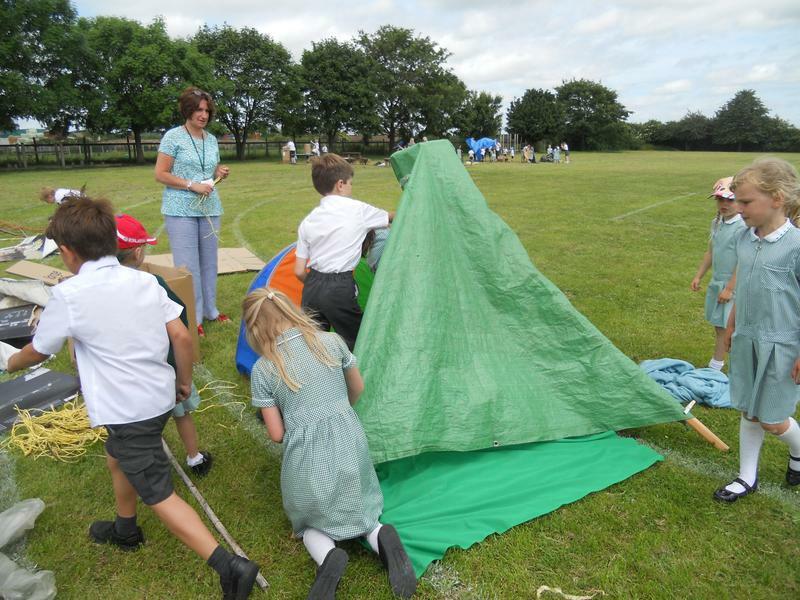 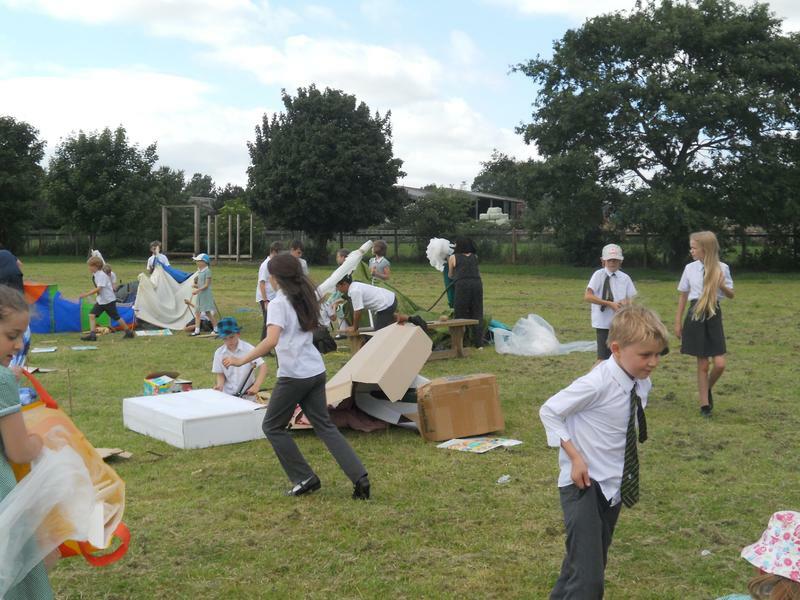 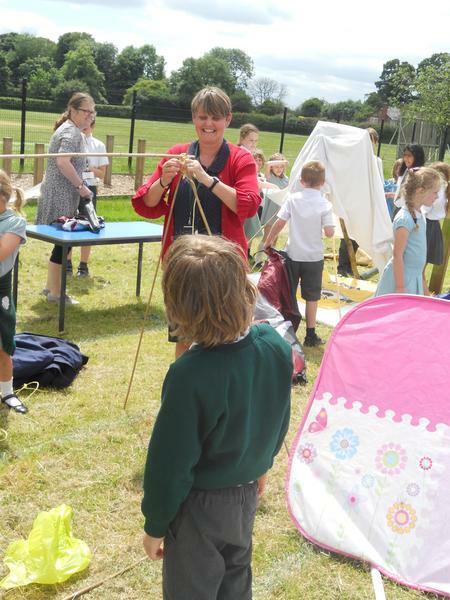 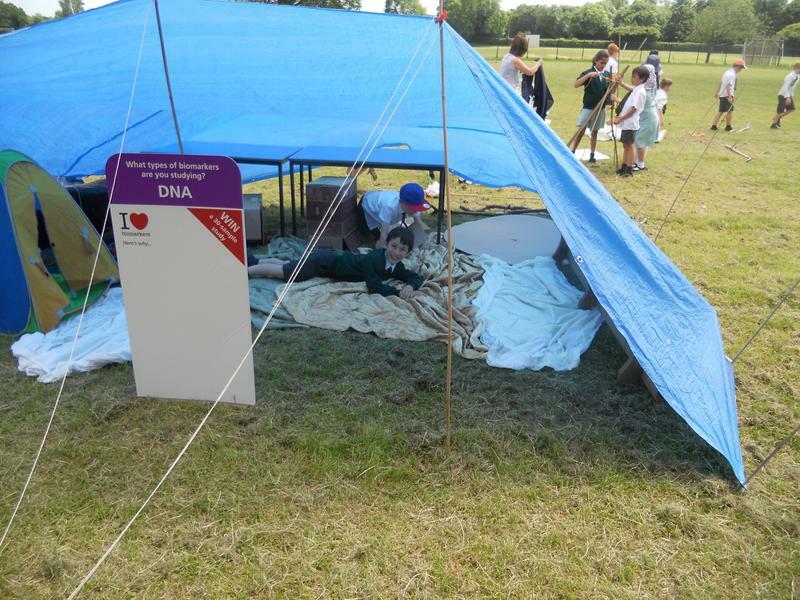 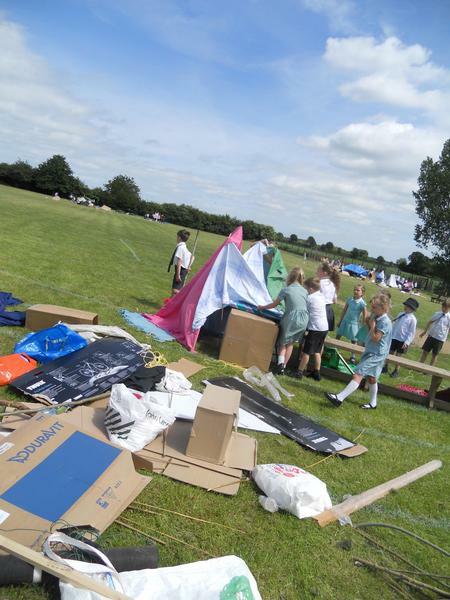 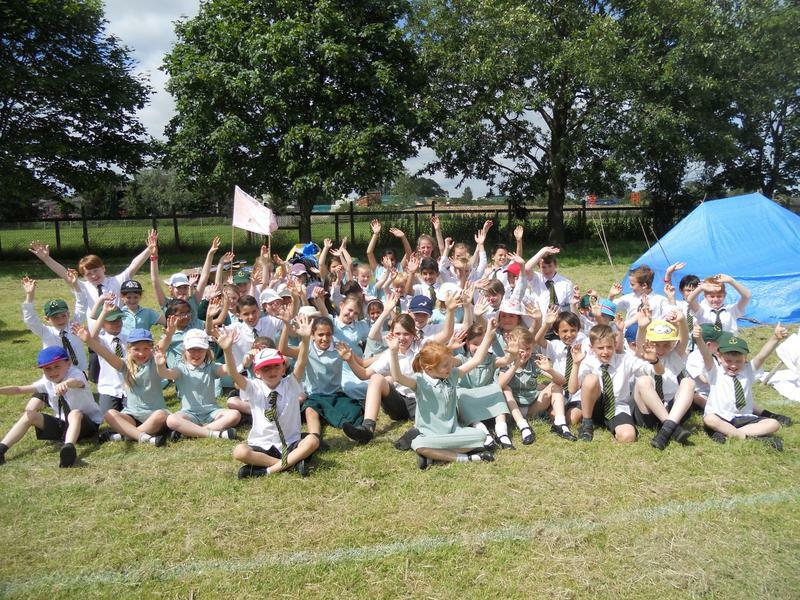 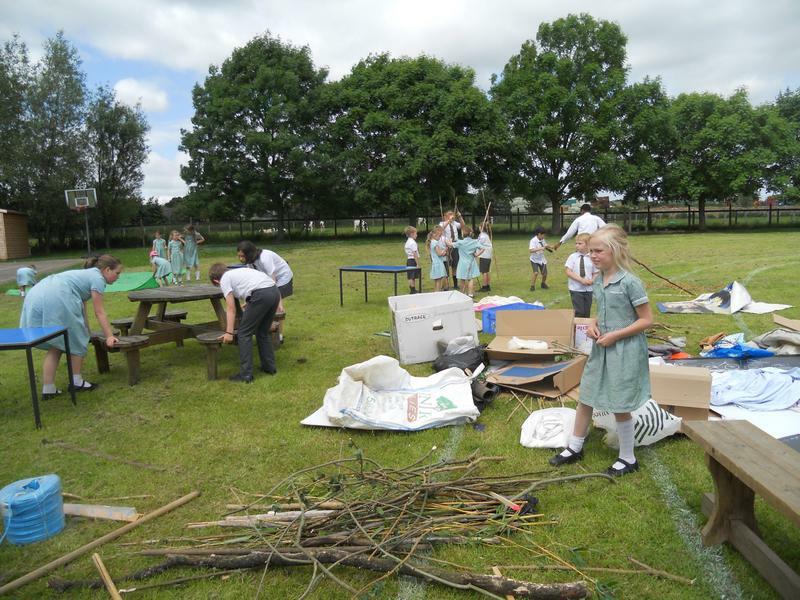 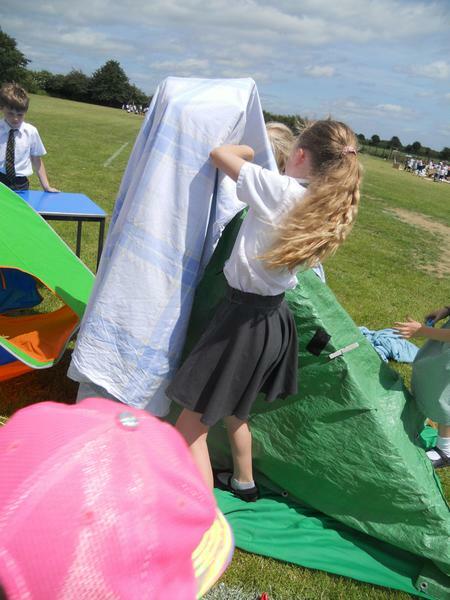 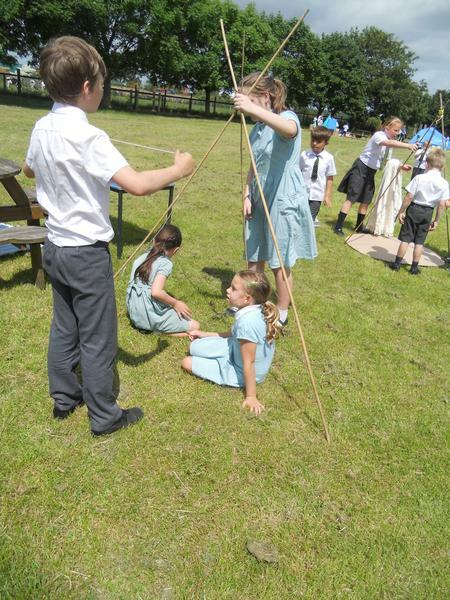 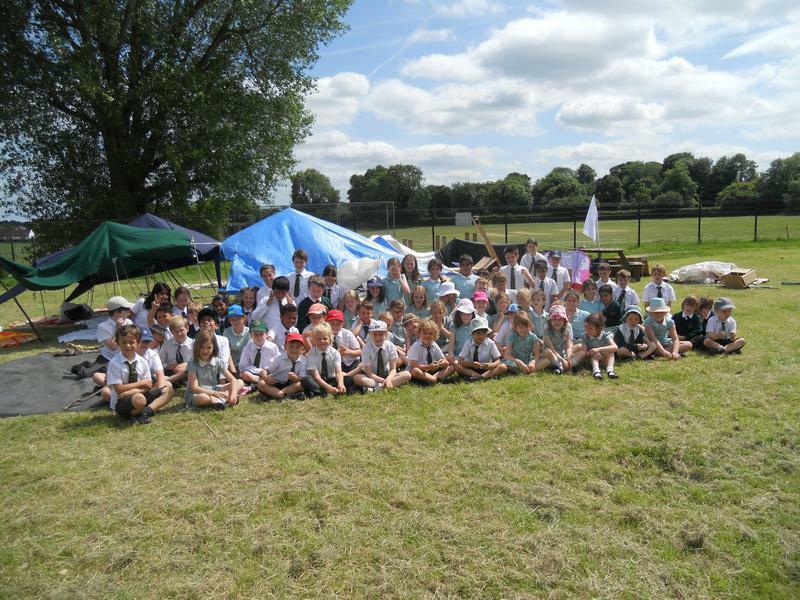 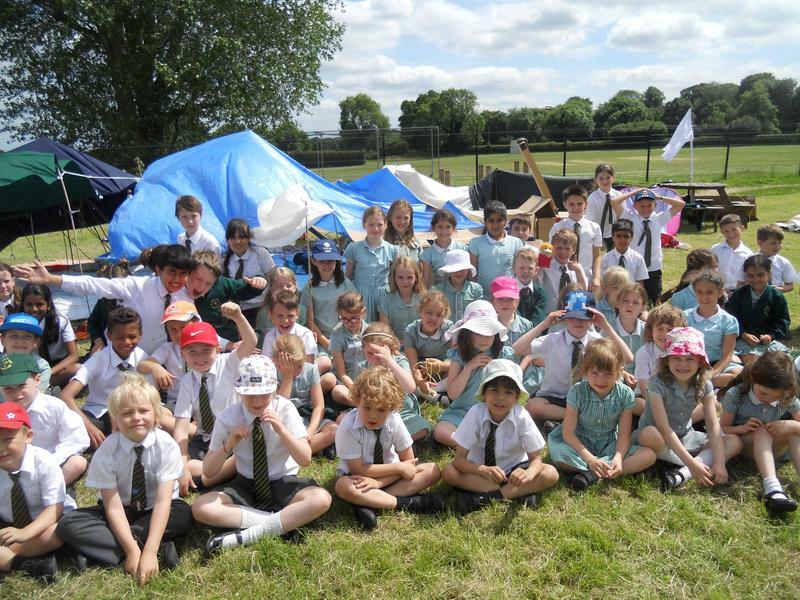 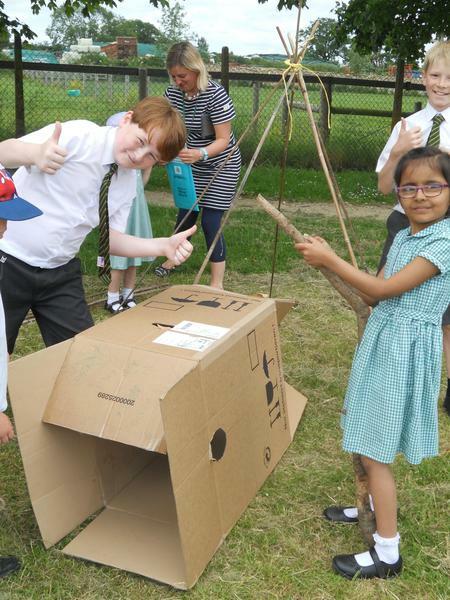 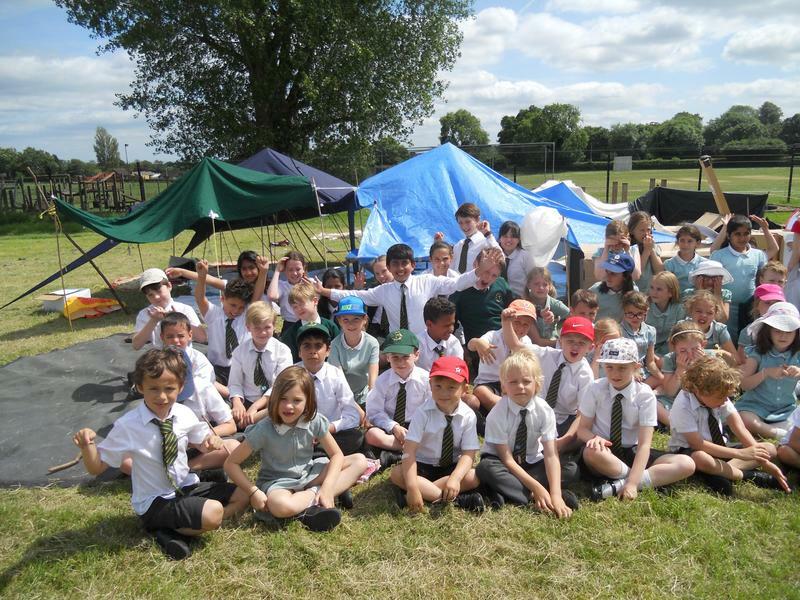 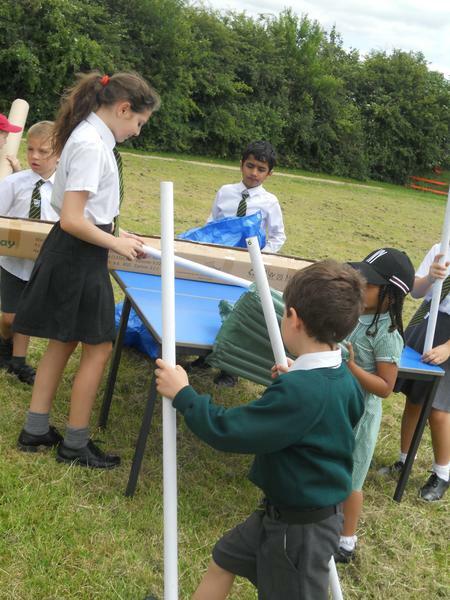 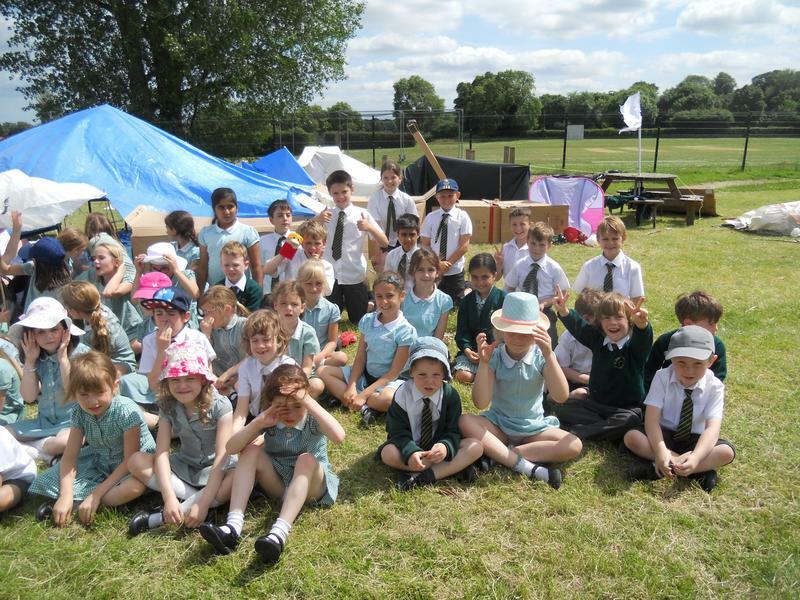 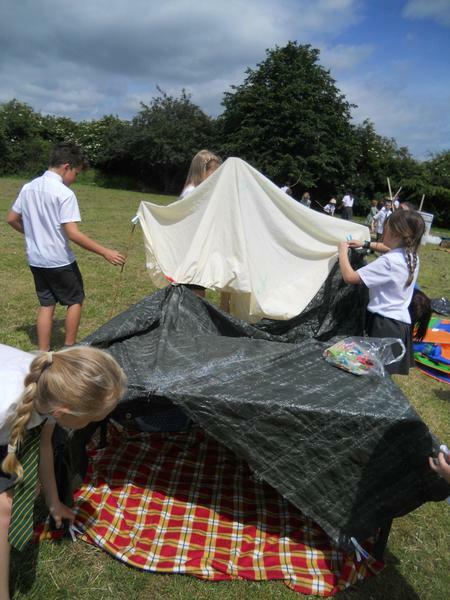 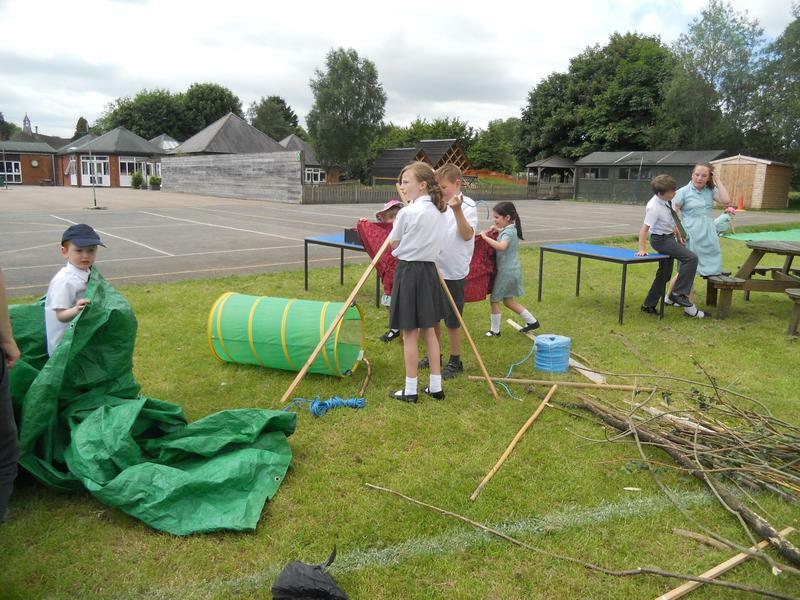 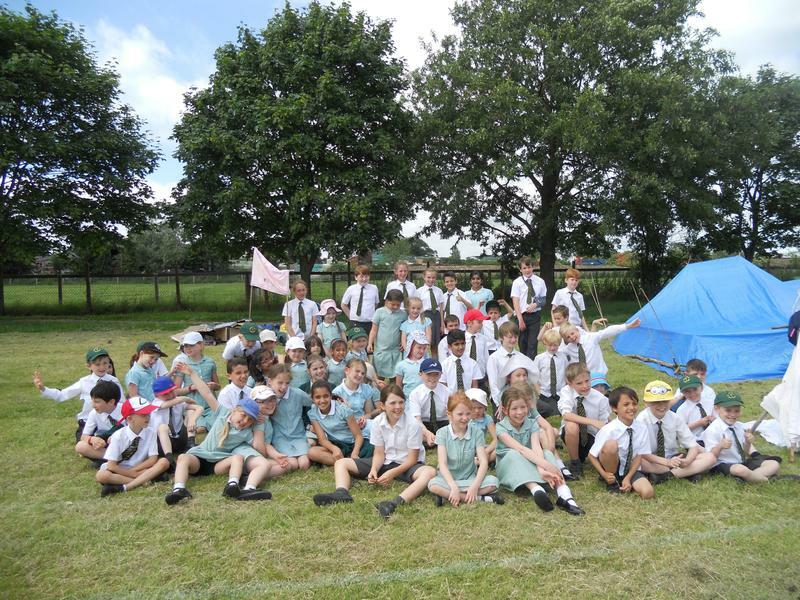 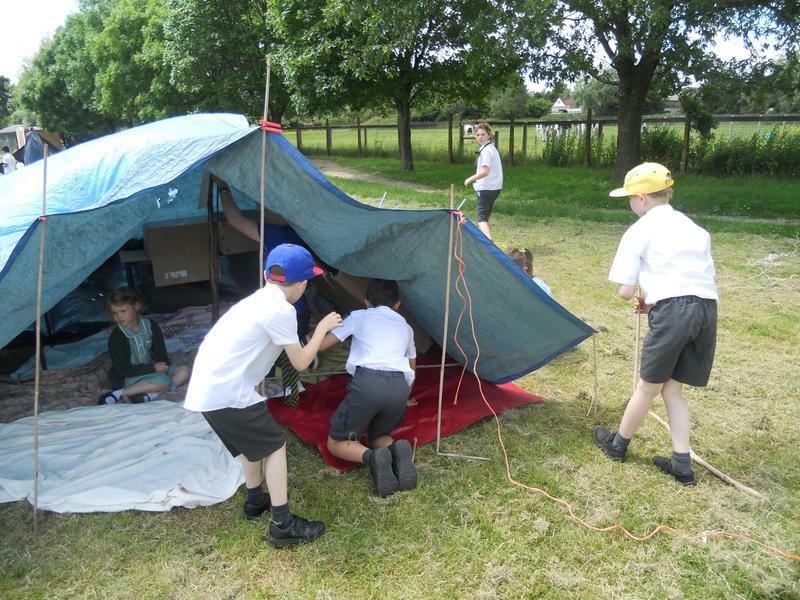 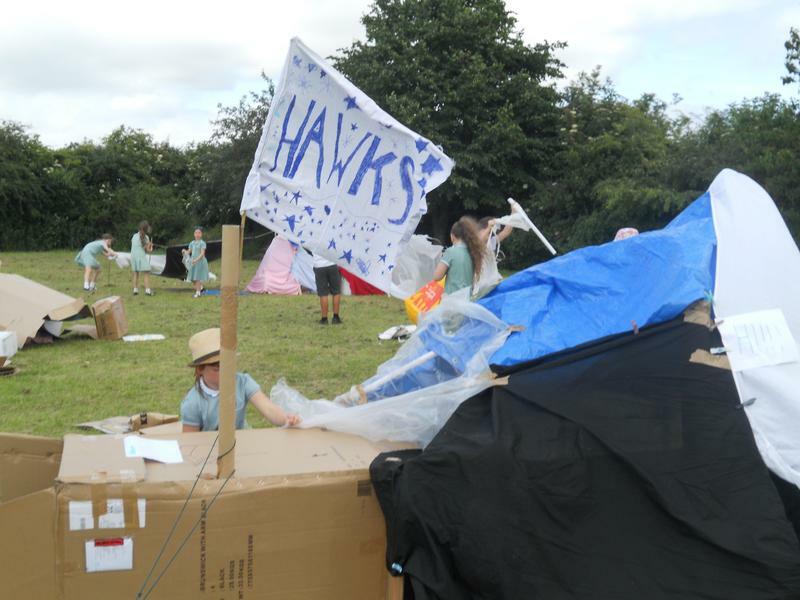 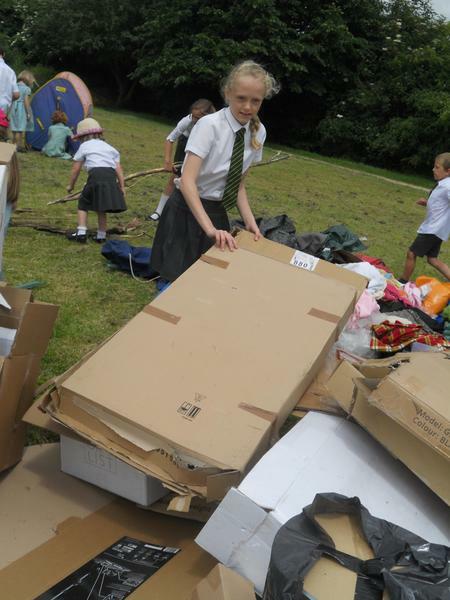 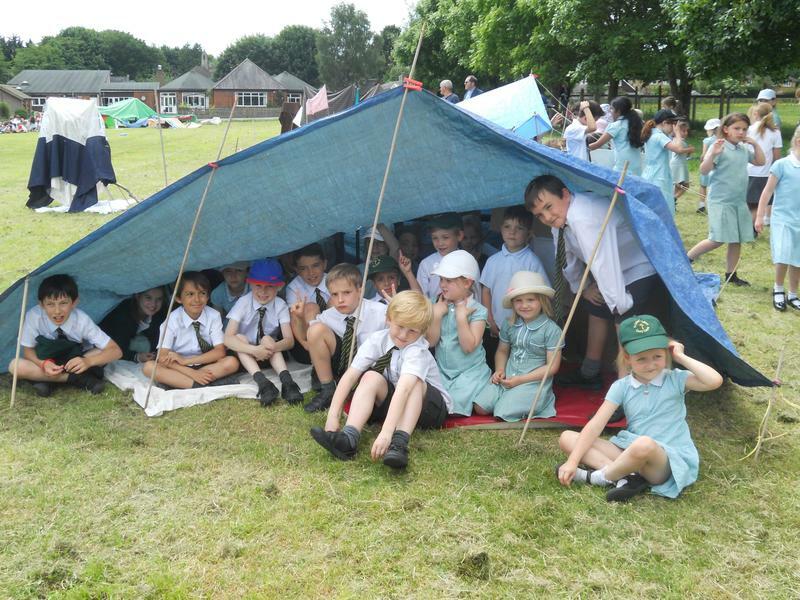 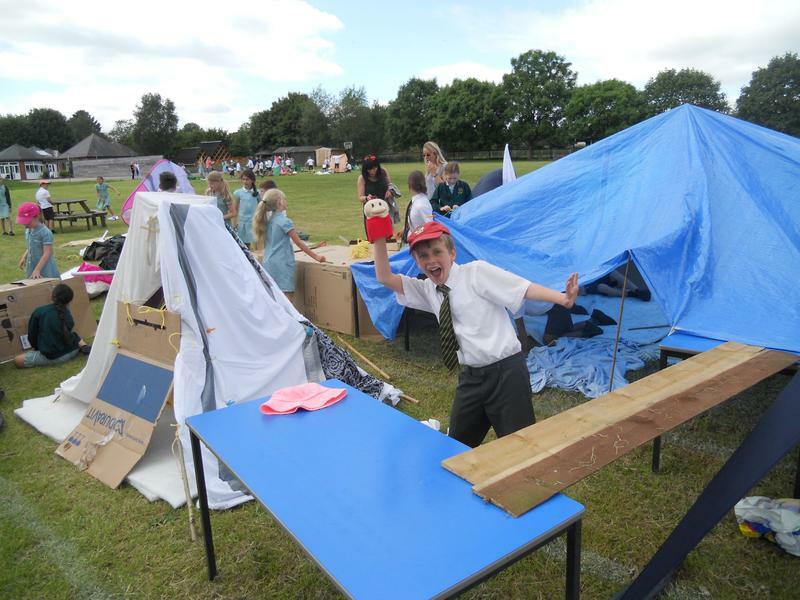 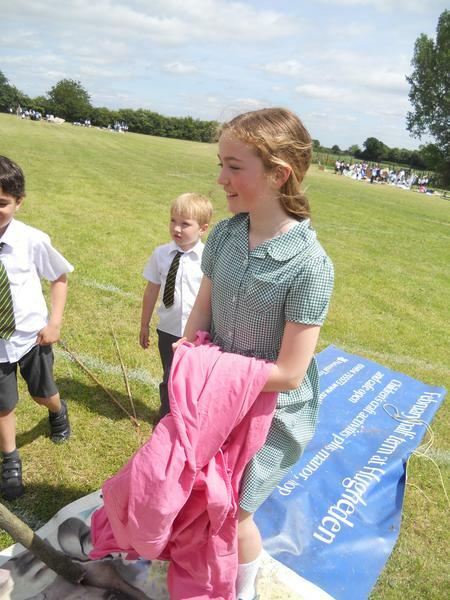 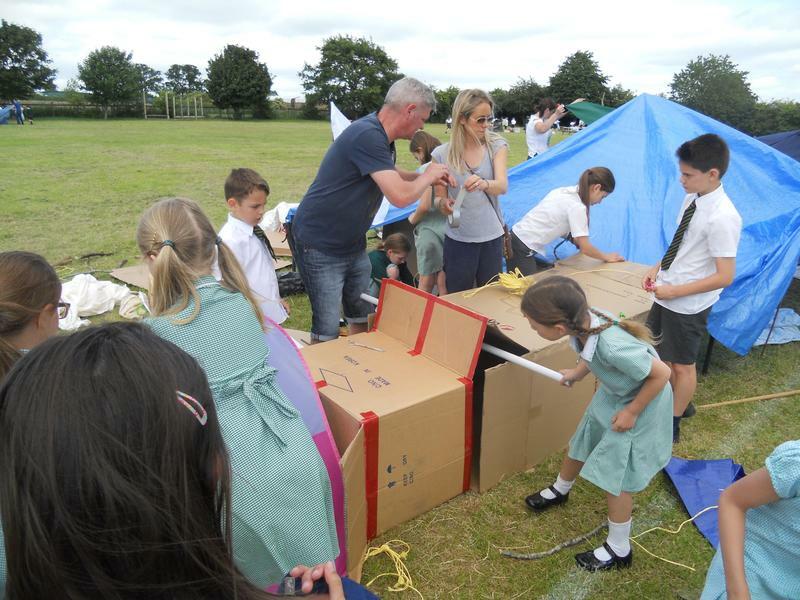 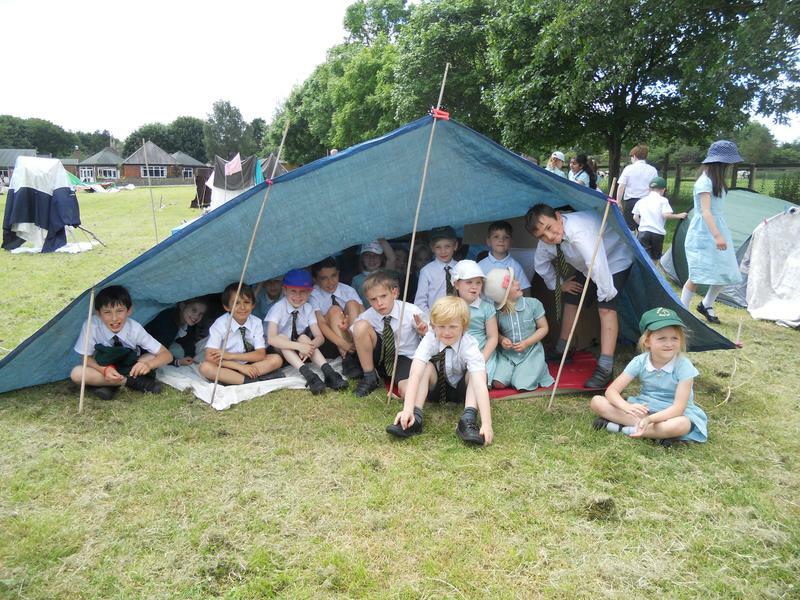 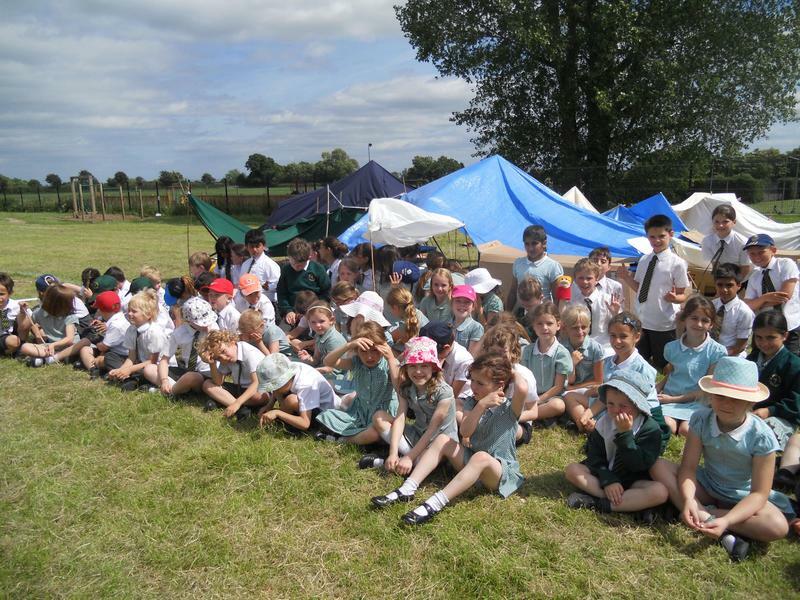 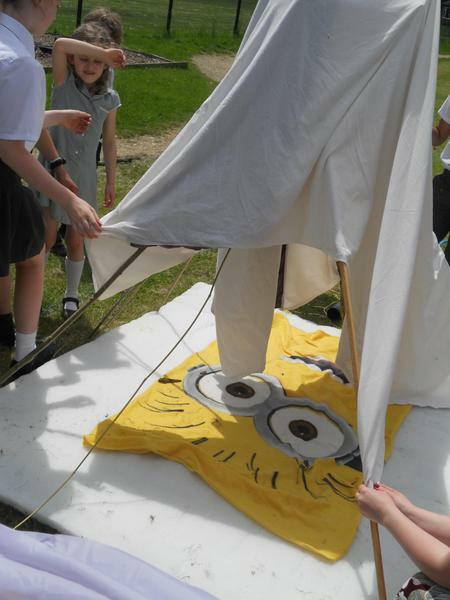 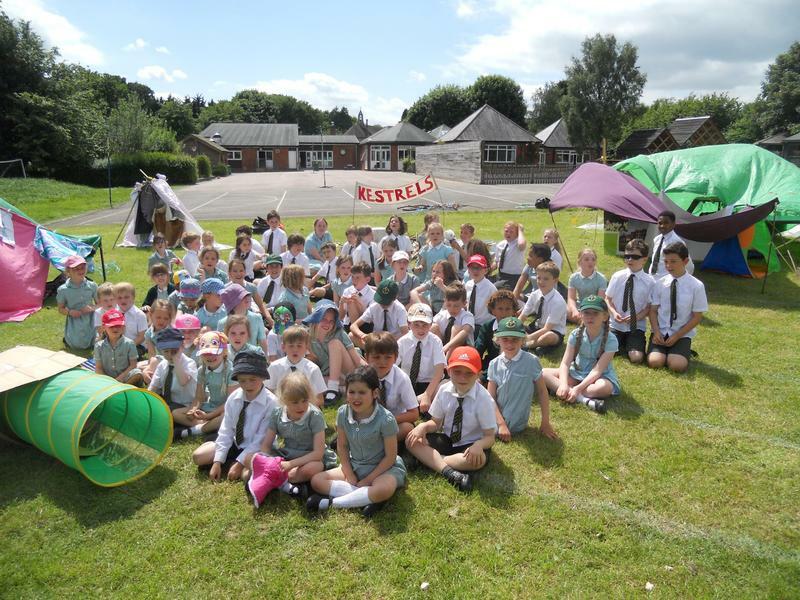 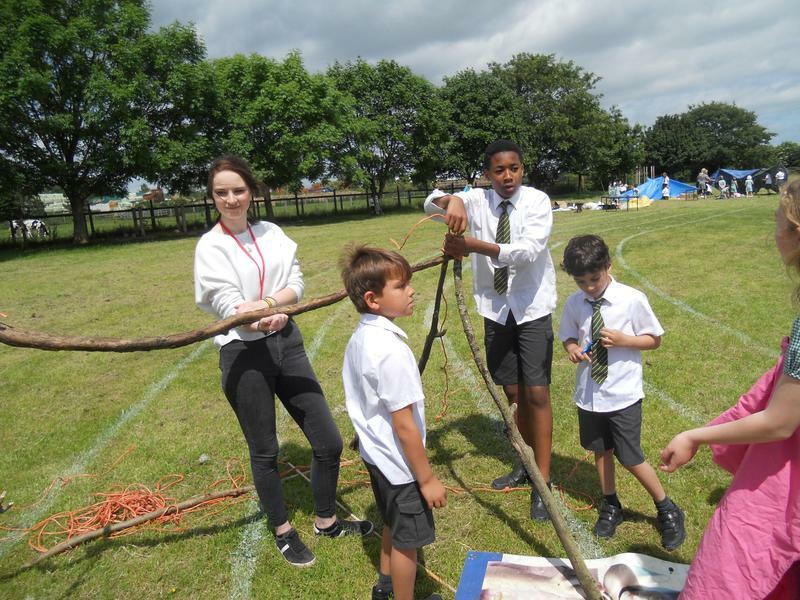 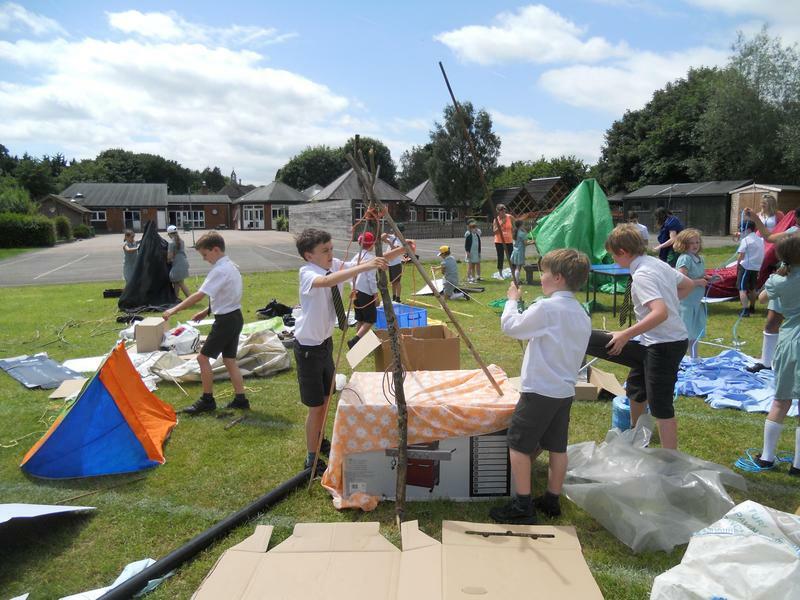 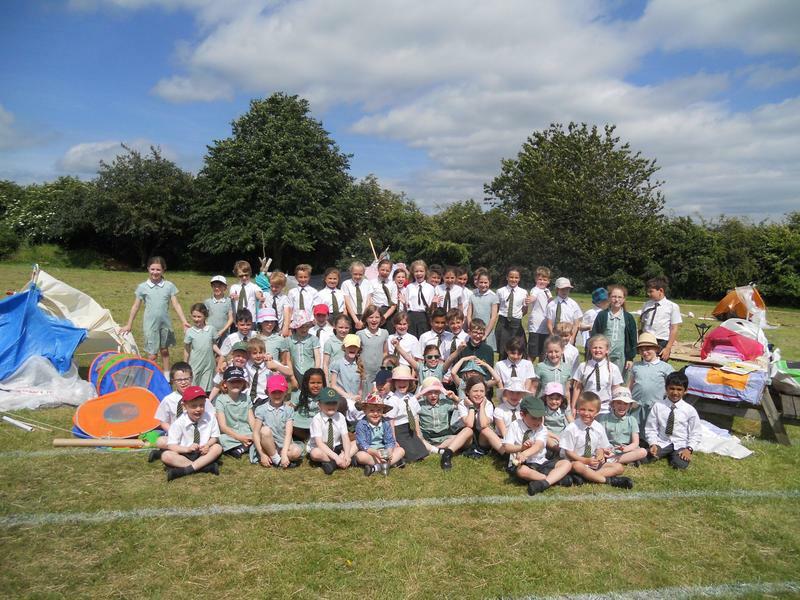 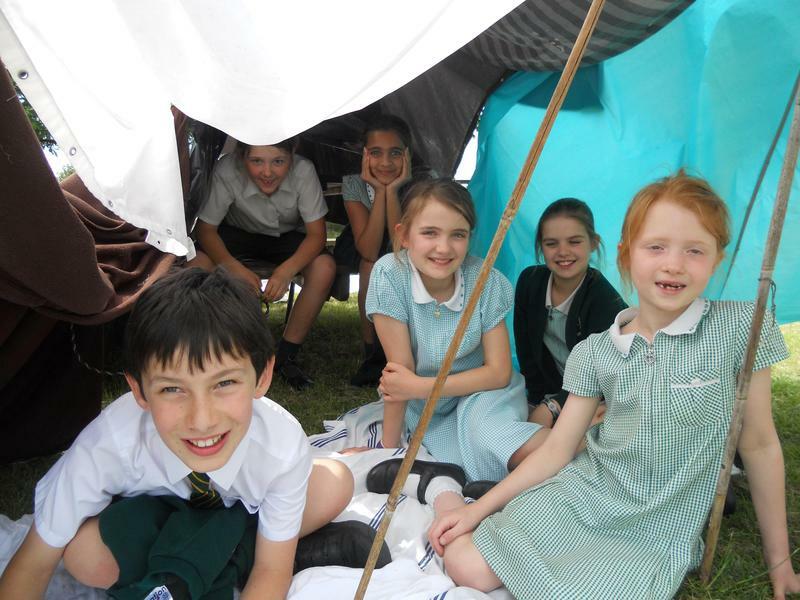 The whole school participated in our Den Building Day, to raise money for the Save the Children charity. 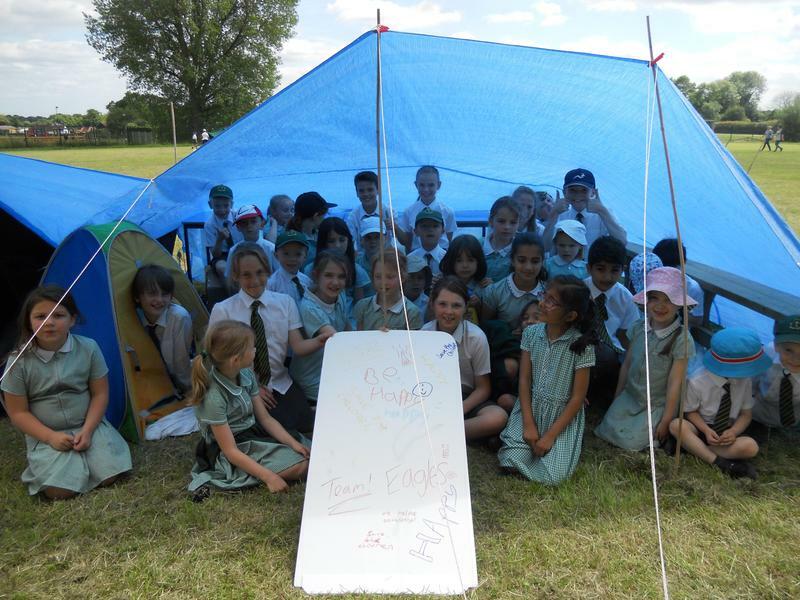 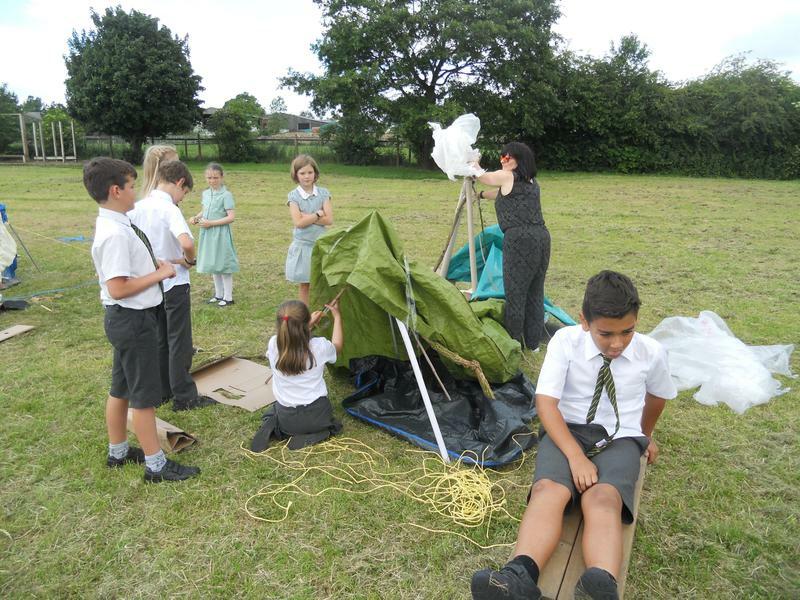 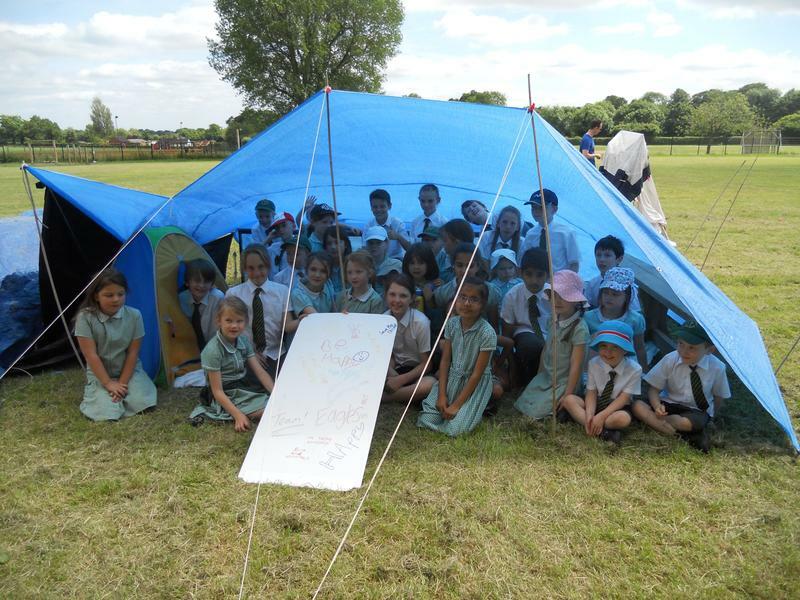 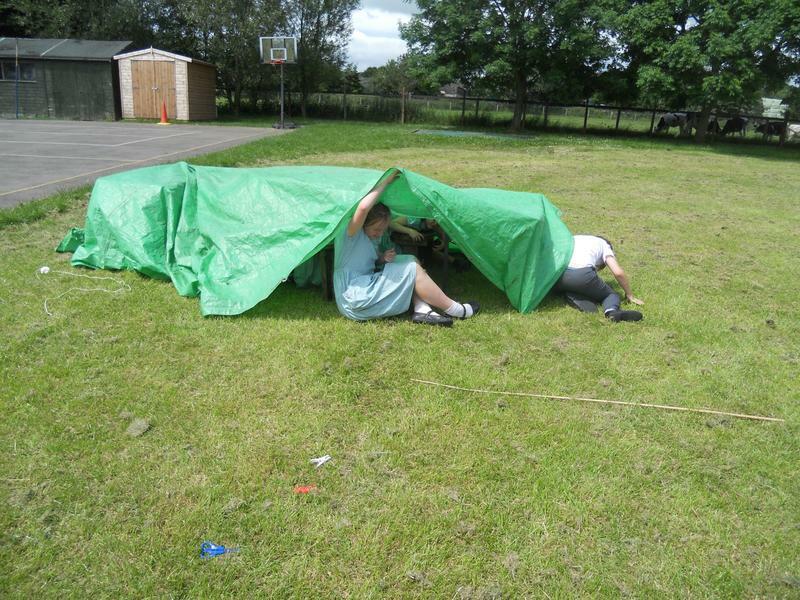 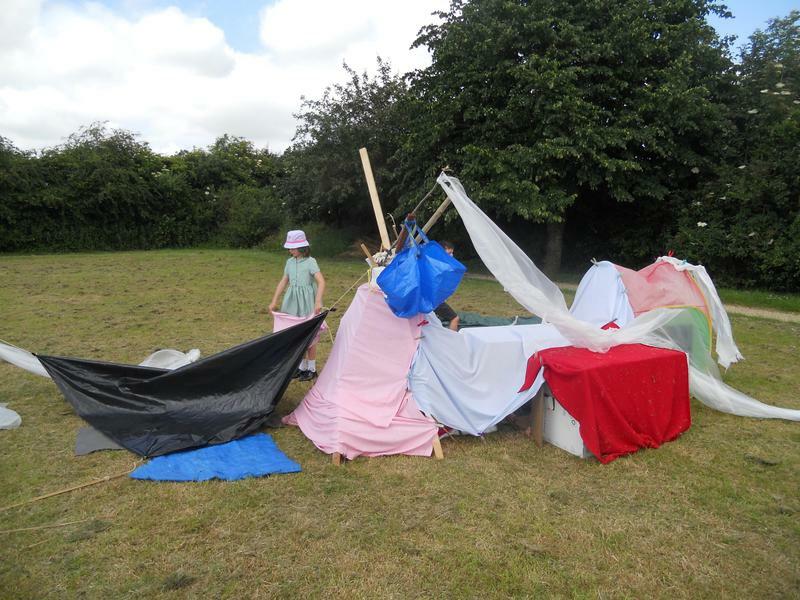 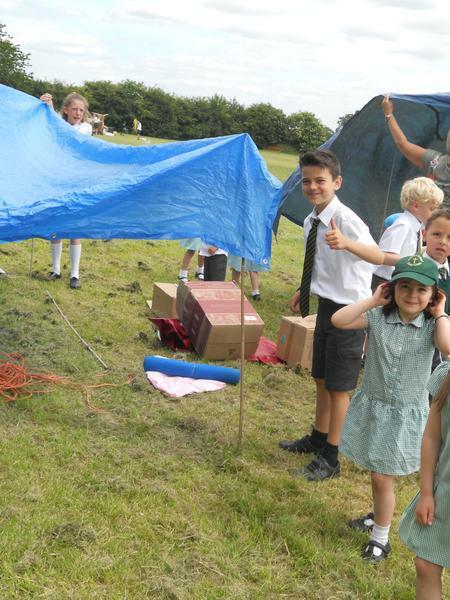 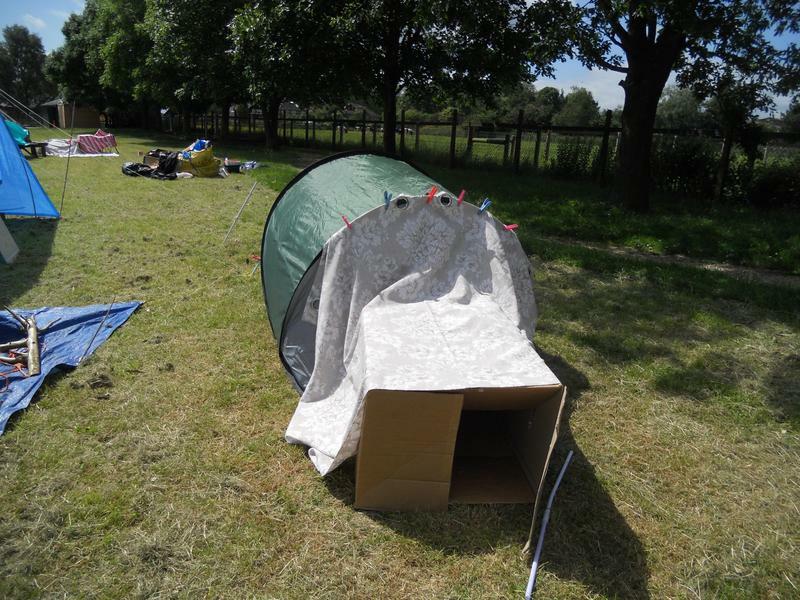 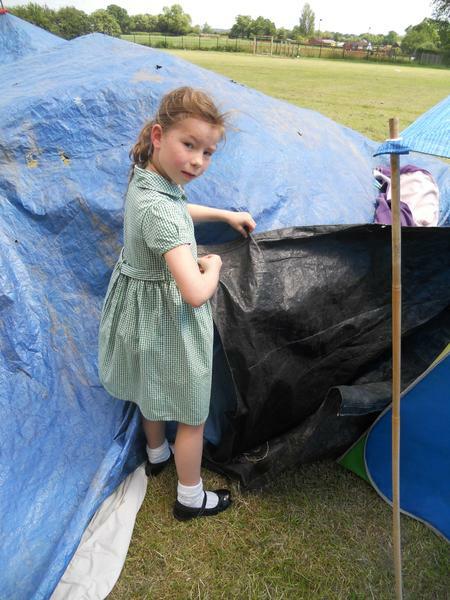 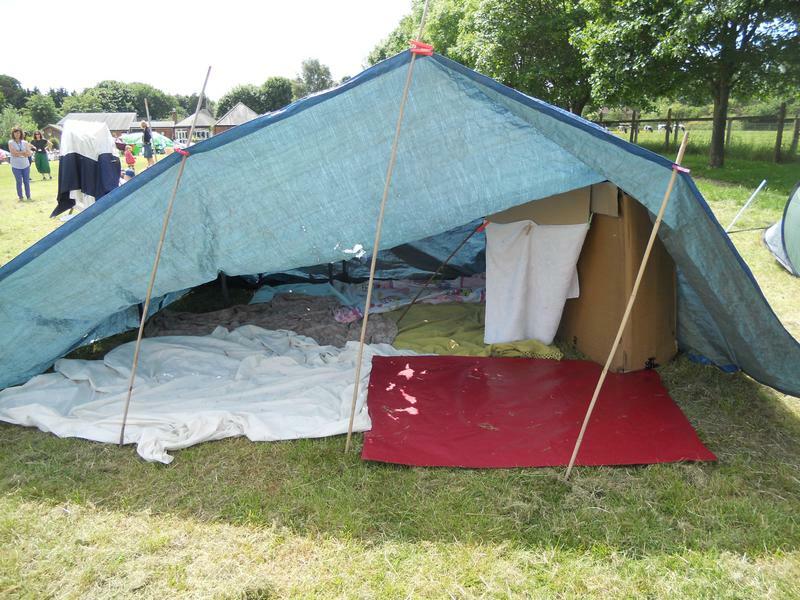 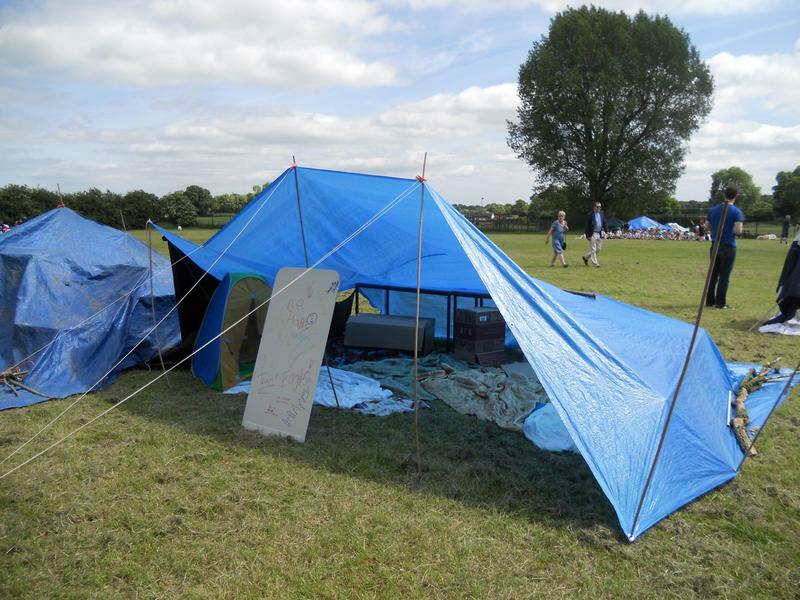 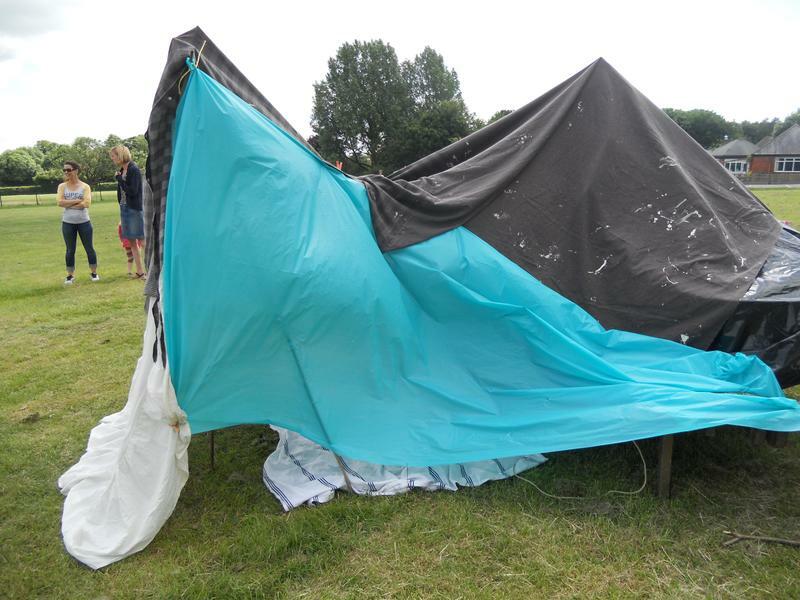 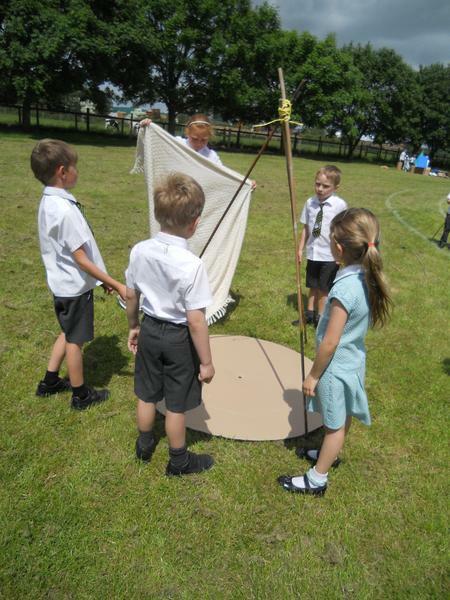 During the morning, children worked in their 'Houses' to discuss and plan their shelters. 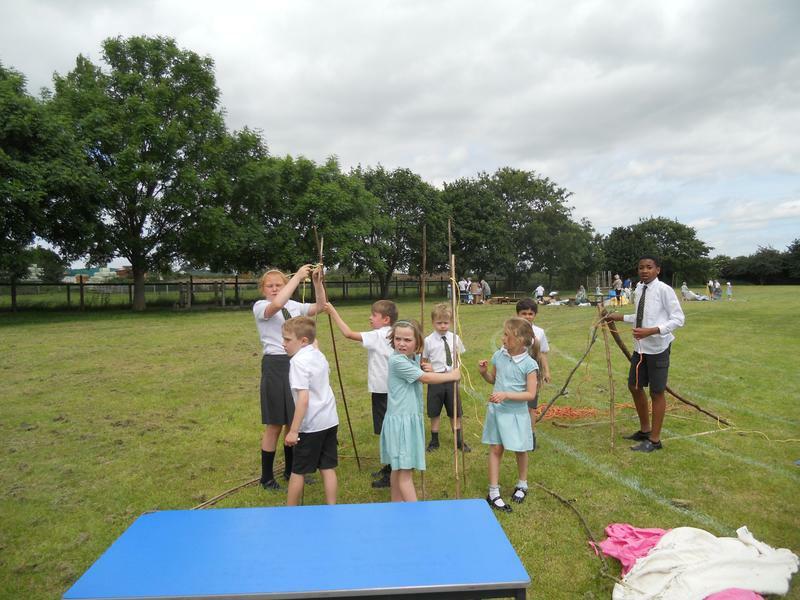 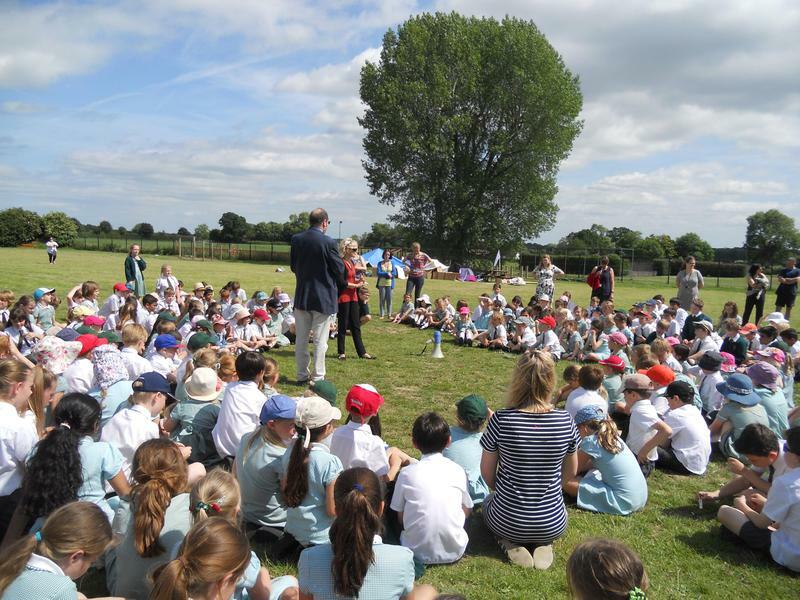 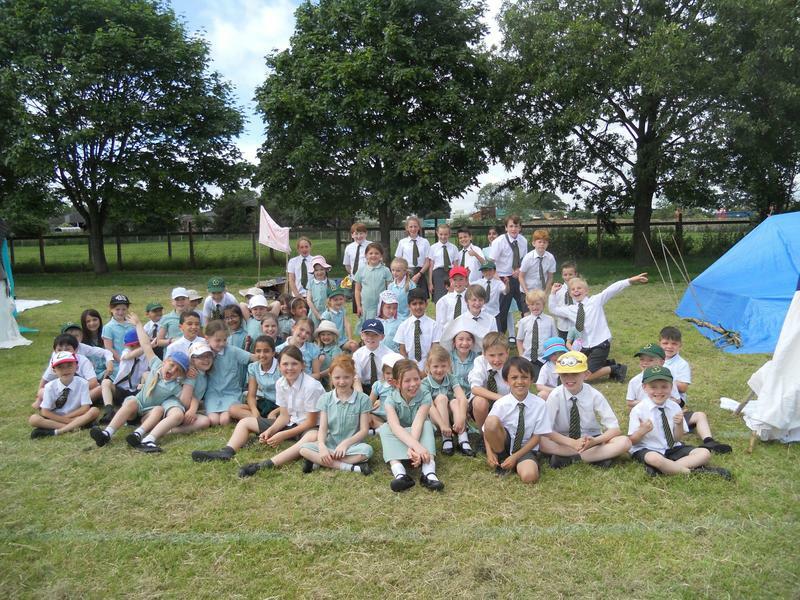 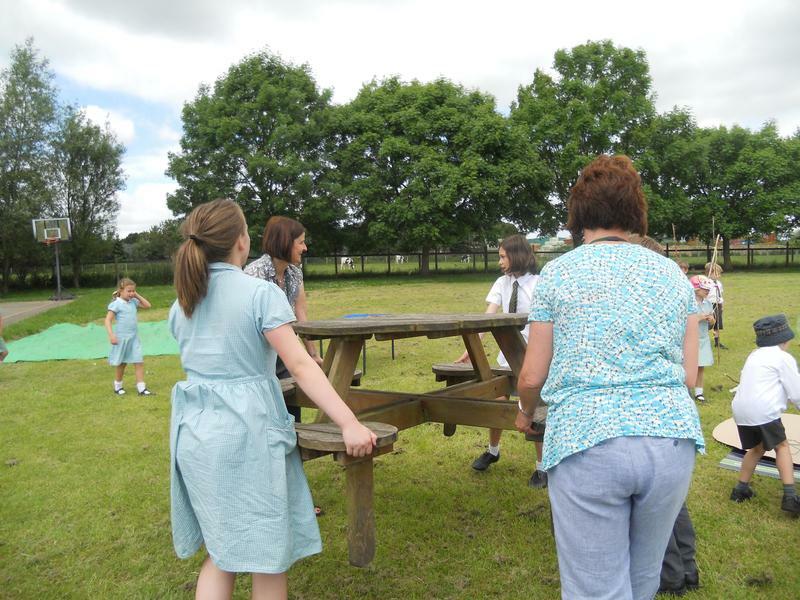 Year 6 worked with the First School and Years 3, 4 and 5 worked together. 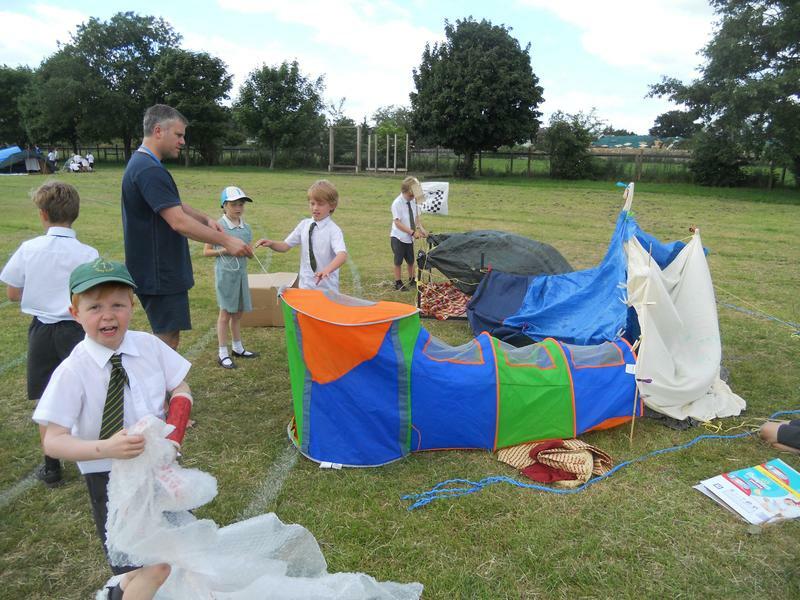 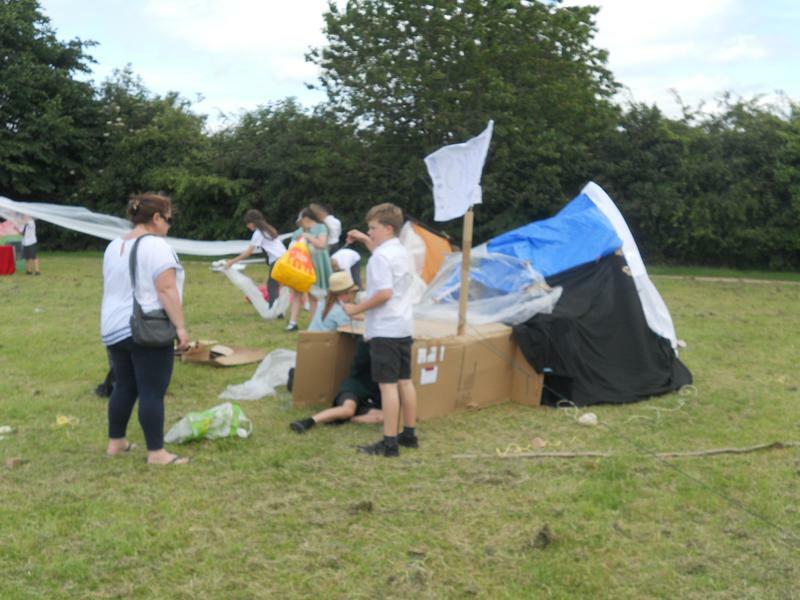 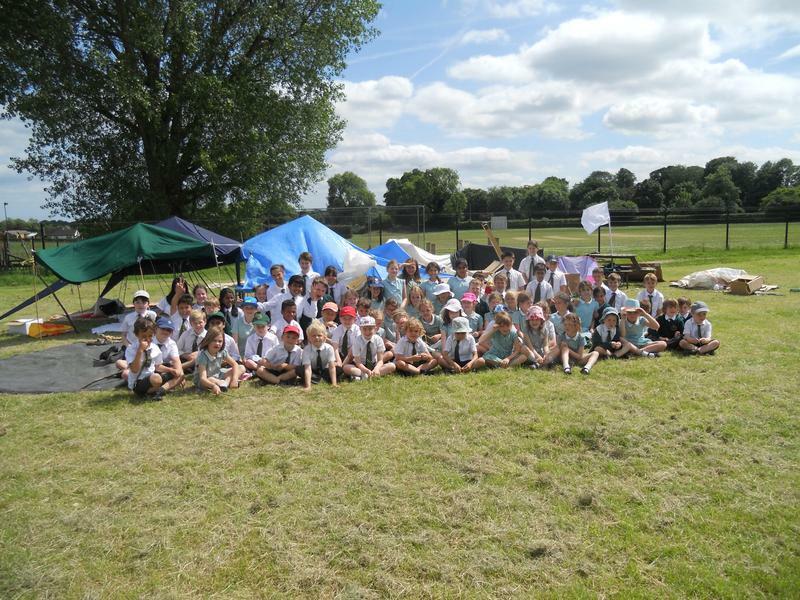 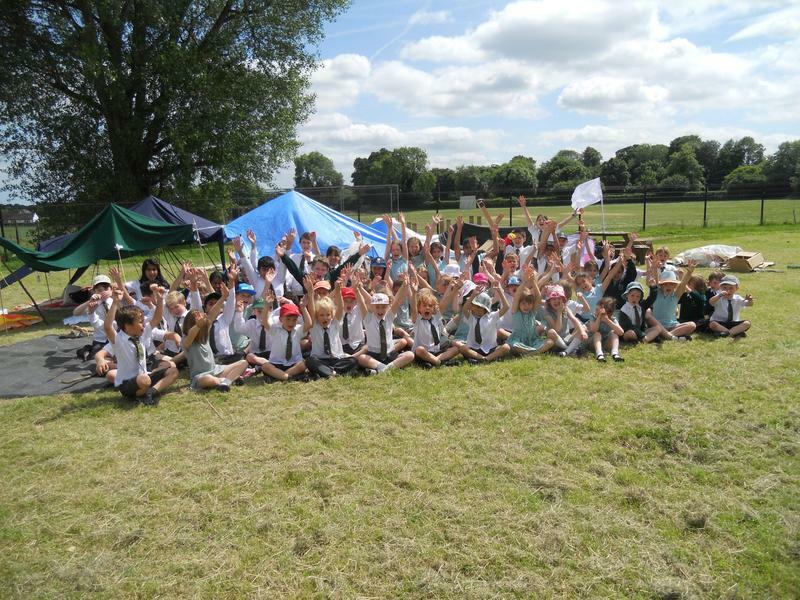 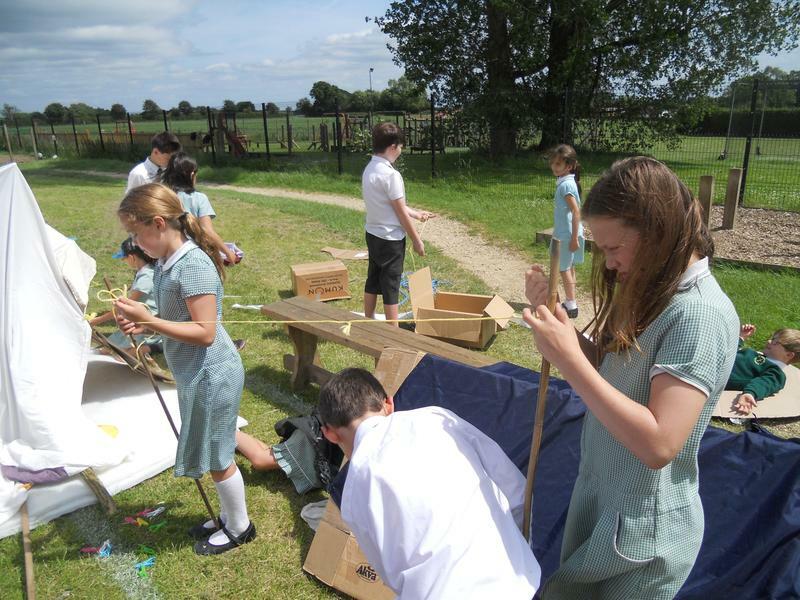 In the afternoon, the children were joined by some parents who helped each team to create their own village. 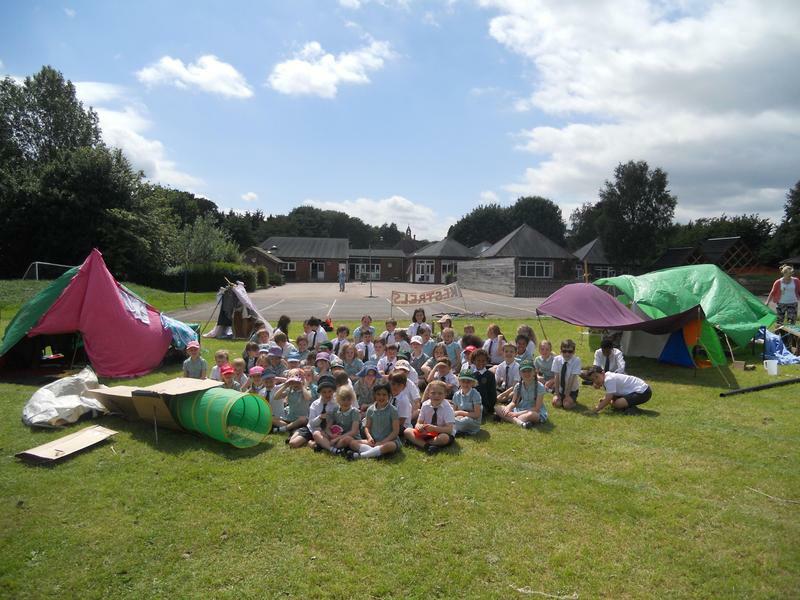 The children had a fantastic time and were very proud of the structures that they created as you can see from our photos.